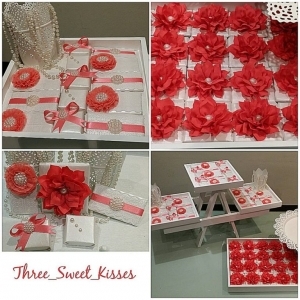 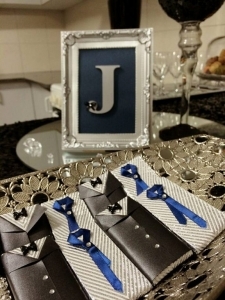 Three Sweet Kisses is an attentive business with all things personalised when it comes to your next special occasion. 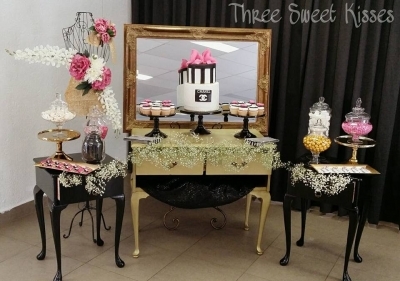 Offering a range of products which include Decorated Chocolates displayed on exclusive and custom made hanging stands. 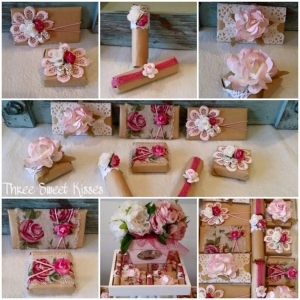 These chocolates are extremely popular for Newborns, Weddings, Christening or Baby Shower favours. 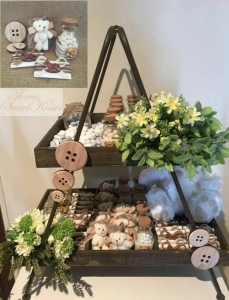 There is also a wide range of products and packages to include such as Bombonieres, Christening Boxes and Candles, Wedding Candles, Invitations to cater for any occasion. 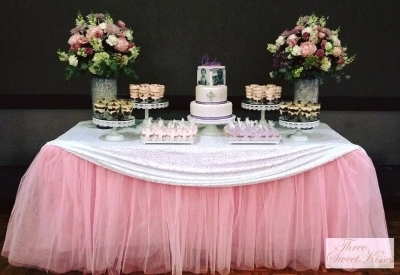 Three Sweet Kisses also has all your party styling covered that will leave your guests capturing the atmosphere with dazzling and classy cake tables, candy/dessert buffet, drinks buffet to suit any theme. 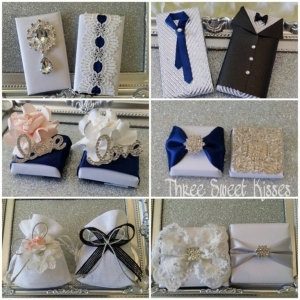 Most importantly, Three Sweet Kisses tailors to their customer's needs and budget without compensating the quality of their products or services.